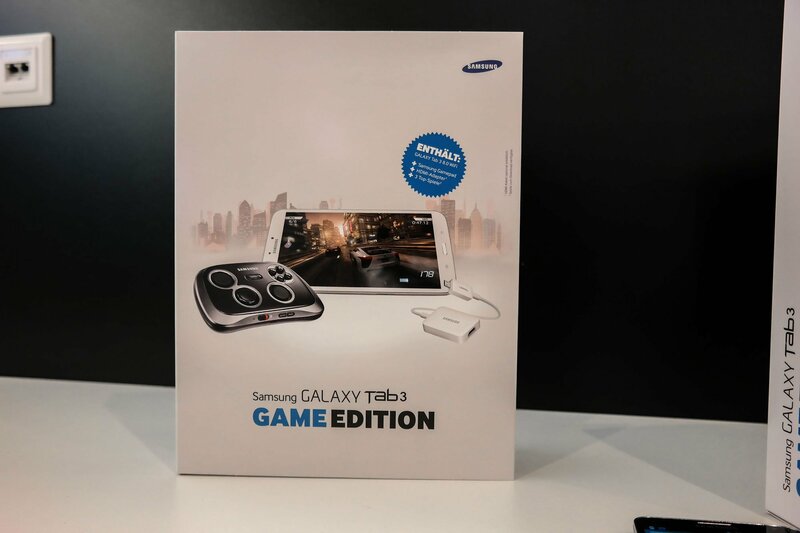 Samsung officially launched its GamePad game controller in Europe yesterday, and now the company has announced that it will be releasing a Game Edition of the Galaxy Tab 3 8.0 that will come with a bundled GamePad. Since the GamePad is only for attaching smartphones, the bundle will also include an HDMI adapter so users can connect the tablet to a TV, connect to the controller via Bluetooth, and game away to their heart’s content. The tablet will be the Wi-Fi variant, though pricing for the whole package hasn’t been announced yet. The GamePad alone costs 79.90 Euros, so you can put two and two together and realize that this Galaxy Tab 3 8.0 Game Edition won’t come too cheap.